Do you need assistance with your vote-by-mail ballot? Do you have family members that need their ballots translated? 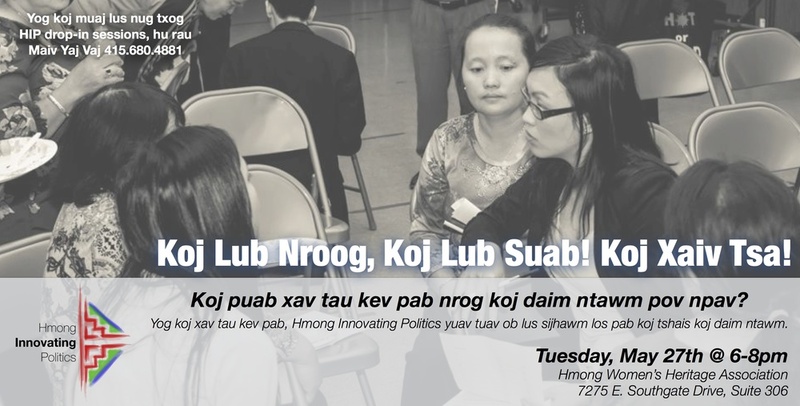 Hmong Innovating Politics will be providing in-person assistance to help community members fully understand their vote-by-mail ballot! So please stop by and bring your entire family. For questions regarding HIP drop-in sessions, call Mai Yang Vang 415.680.4881. Also, don't forget to check out HIP's 2014 June Primary Voter Guide. For additional information on voting, registering to vote, ﬁnding your polling place call Tou Fue Vang at the Sacramento County Elections Office (916) 875-1778.